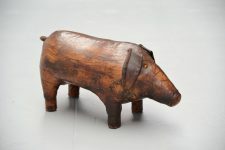 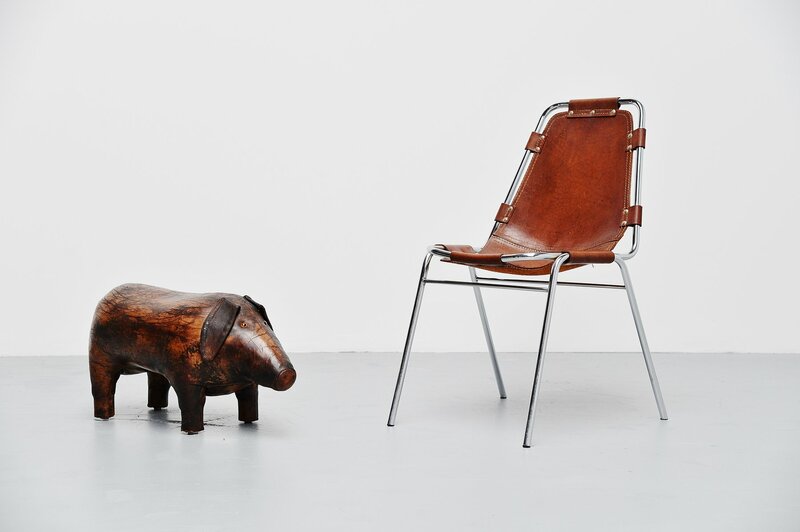 Iconic leather pig shaped footstool designed by Dimitri Omersa manufactured by Liberty's for Abercrombie & Fitch, United Kingdom 1960. This footstool has a very nice patina from age and usage and is still complete and in tact. 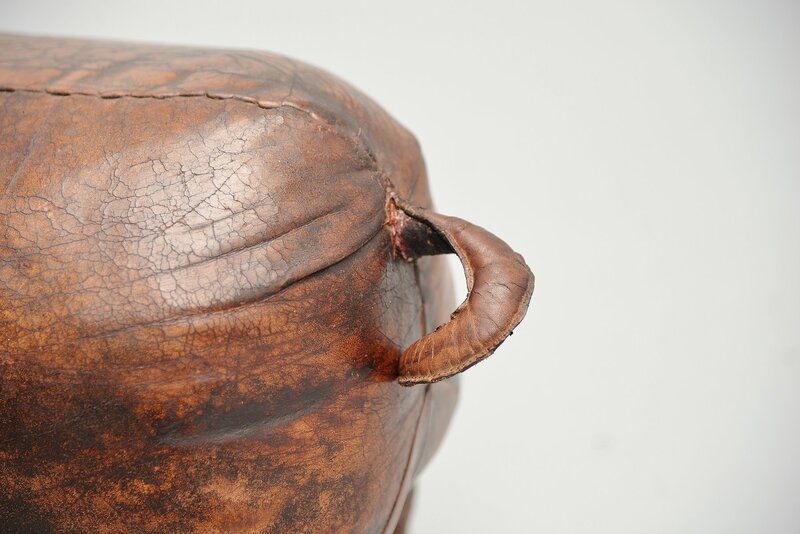 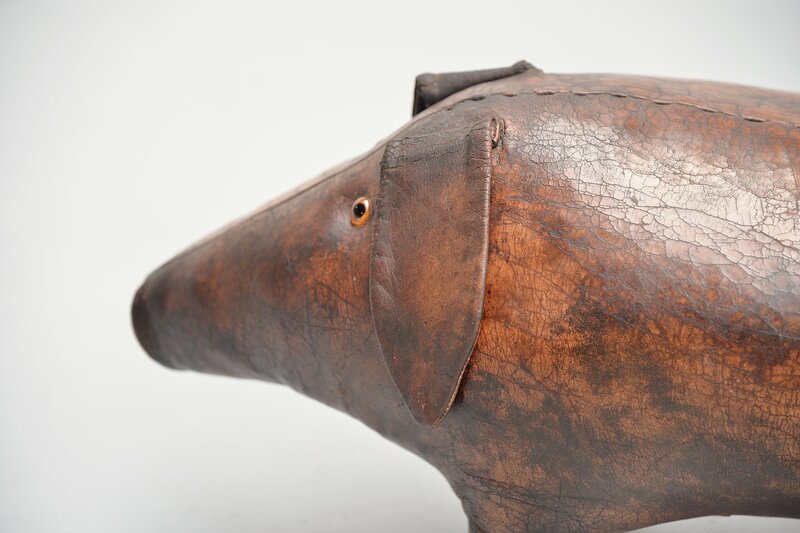 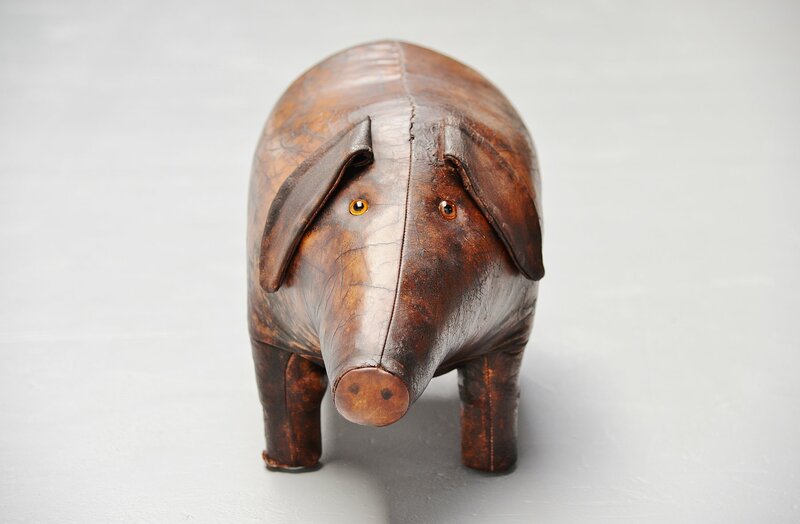 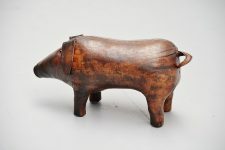 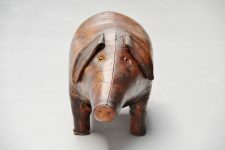 This pig has a very nice dark brown patinated leather.